True—life is full of compromises. 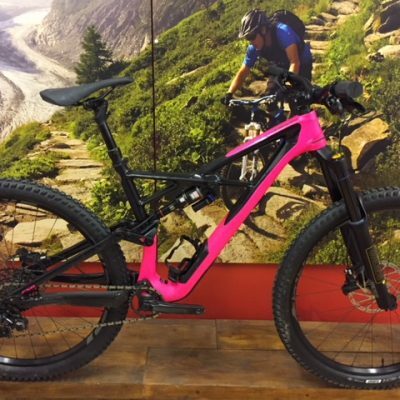 But on the trail, we’re adamant believers that you should never have to ‘settle.’ That’s why our Women’s Stumpjumper Comp Carbon 27.5, with SRAM’s 12-speed NX Eagle groupset, goes above and beyond to provide you with the ride of your life. Every touchpoint is tailored for female riders, while the frame shatters every rule in the design book with a total disregard for proprietary nonsense, a revolutionary new asymmetrical frame, and custom shock tunes exclusively for women. We continued down the suspension path with a custom Rx Trail Tune on both the fork and rear shock. 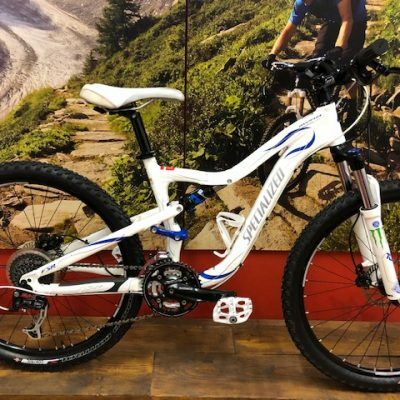 Suspension performance is highly dependent on frame, wheel, and rider size, so we use our Women’s Rx Tune to get each bike to land in the middle of the adjustment spectrum, and this gives you the biggest possible range to fine-tune your ride. Another focal point of the tune was matching the suspension characteristics between wheel sizes—we developed a specific Rx Tune for each platform. So, no matter what wheel size you prefer, you’ll get perfectly linear suspension. 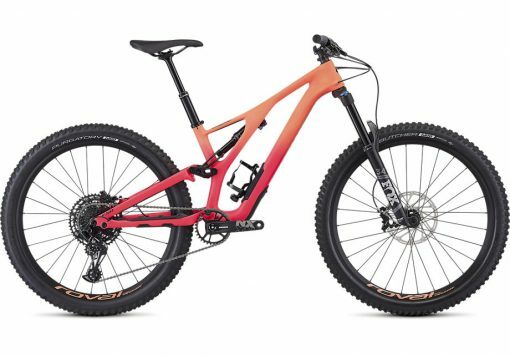 The Stumpjumper’s asymmetrical, FACT 11m carbon fibre construction is lightweight, stiff, and ready to take on the trail. It’s built off our 27.5 Trail Geometry, so it’s just the right amount of both capable and comfortable. 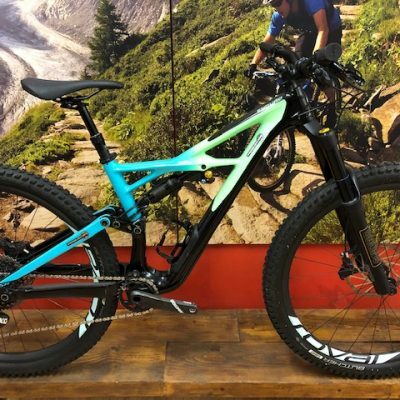 And with SWAT™ integration in the down tube, a threaded BB, easy cable routing, and an all new chain silencer, it’s ready for anything the trail, or you, throw at it.